Bob Olson: What label or description do you give yourself when a stranger asks what you do for work? 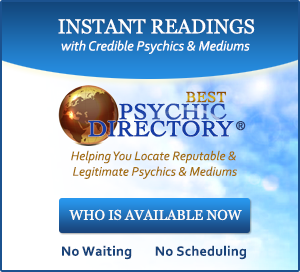 Jane Fecteau: I am a medical intuitive and energy healer. I assist in restoring health, balance and vitality to people with issues such as chronic pain and chronic illnesses that are slow to resolve or cannot be managed well with allopathic medicine. My work helps them to quickly cut through the Gordian knot of their perplexing medical conditions. Medical intuitives identify medical and emotional illnesses in others. Although they can perceive the cause of the suffering with the subject physically present, they can also work from a distance if a patient is in a remote location. Medical intuitives also interpret that information in order to clarify the root cause of diseases and situations. That specialized information can be received through seeing, feeling, hearing, sensing or even writing. My work goes one step further in that when I identify and balance energies surrounding such a condition, I am able to correct it, leaving an abiding reverberation of health and resilience where illness once was. The energetic effect continues after we are finished with the treatment session. As a result, clients can expect lessened symptom intensity and a shorter recovery time if the injured or imbalanced area is challenged again. Why? Because the effect of my treatment is systemic, deep but subtle changes take place, and are assimilated throughout spiritual, emotional, and physical dimensions. Although we move metaphorical mountains of maladies, my process of interpreting the language of the body is indirect and non-confrontational. Under Divine guidance, the body shows me how to quickly and effectively mobilize the patient's own healing forces. In this way, my work is sensitive to, and synchronous with the patient’s body’s own schedule of healing, whatever sequence or timeline that may be. Bob Olson: When did you first recognize that you had this ability? Jane Fecteau: It was in 1995 when I first became conscious that God was signaling a change in my life’s direction through my own serious illness and a downward spiral into a pattern of unyielding medical complexity. Traditional medicine seemed unable to restore my health. Overwhelming chemical sensitivities developed. I languished for months. Although very appreciative of the efforts of the many allopathic, holistic and alternative medicine doctors that I sought out, I slowly realized that what was being offered, although partially helpful, was not restoring my health. It had been five years of struggle, and I didn't seem able to progress. One day, as I prayed to be well with special intensity, a shift occurred and I received what some may call an anointing to heal; to heal my self and others. Shortly after that, the fundamental issues surrounding my illness began to be resolve. After regaining my health, profoundly grateful for the stunning insights bestowed upon me, I resolved to continue to develop this gift. For hours every day (and that practice continues into the present), I studied, prayed and meditated. Where previously I was scarcely able to help myself, as I became stronger, others began to seek my help for their own obstinate illnesses, and I found I could help them. Bob Olson: When did you begin doing this work professionally? Jane Fecteau: This sacred work had given me my life back, and through my own struggle I was moved to help others as I had been helped. In 2001, I was urged to start a formal practice, and began to see patients by appointment. Bob Olson: Have you had any formal training or instruction for this work? Jane Fecteau: My ideas and methods defy characterization or identification with a known school of thought, teaching or practice - my work is sui generis (of its own kind or unique in its characteristics). I do not have formal medical training, only the accumulation of years of continuous self-study in human anatomy, neuroanatomy and physiology. That said, it isn’t strictly necessary that I know the name and function of every structure at the level of healing work I do, but I feel it can only expand my perception and proficiency. Bob Olson: What other educational degrees, certifications or learned skills do you have that help you in this work? Jane Fecteau: Early in the course of developing my method, I wondered how to study and better understand what the limits of my work were. I had already read all of psychiatrist Dr. Daniel Amen’s books, read and re-viewed DVD courses on anatomy and physiology taught by Professor Anthony A. Goodman, M.D., (Cornell Medical College and Montana State University) and devoted hours every week studying the neuroscience lectures and writings of Dr. Jeanette Norden (Professor of Cell and Developmental Biology in the School of Medicine at Vanderbilt University). Could my methods be beneficial to patients with serious neurological diseases such as stroke patients and those with traumatic brain injuries? The goal was to see whether objective, lasting improvements in function could be achieved. To explore this, I chose to volunteer at a neurological rehabilitation center where I could observe and gently treat a range of people with obscure and complex pathologies. With their permission, I was able not only to help people suffering from profound neurological injuries and diseases, but to greatly strengthen my own understanding. For a year, I applied my method to a roster of patients once a week and was able to see tangible results, to the benefit of each patient, and with outcomes that were both substantial and reproducible. Bob Olson: What is your intention or motivation for doing this work? Jane Fecteau: My work is a reflection of the Divine, a reflection that all of us embody. All of this work is of and through God. 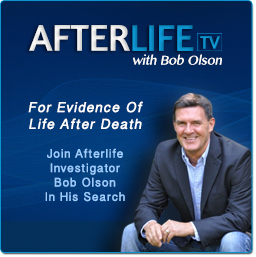 Bob Olson: How long do your sessions last and why did you choose this length of time? Jane Fecteau: I schedule 50-55 minute sessions – doing as much work as the body will allow me to do. Often there are issues that can be addressed and resolved fairly rapidly, allowing me to go on to other problems or areas. After a few minutes, a vibrational shift occurs. Restrictions are eased, illness is transformed, and I can feel energy pathways beginning to open to health. I now know that the body has reached the limits of its capacity to integrate this new information, and can feel myself being gently pushed away. Longer sessions would be counter-productive. After breaking through the inertia of disease, I step back and allow the body’s own wisdom to continue the healing process. This fresh, new momentum goes forward between treatments, empowering the body’s own innate desire to heal. Bob Olson: What can one expect during a normal session with you? The process is much the same for remote healing, except for that I use my own body as a surrogate for your anatomy since we are physically separated in space. Additionally I may use an anatomy reference. The work is transmitted instantaneously over the distance, with the same sequence of treatment and result. I am told that a feeling of warmth, a release of tension and a lightness of being are commonly felt during and after the treatment. Bob Olson: What instructions do you give new clients before a session? Jane Fecteau: There is no preparation needed before your appointment. At the beginning of each session I will ask you which three health issues are of the highest priority, and that is what we will focus on for that session. Bob Olson: Is there anything about your skills or abilities that is unique from other medical intuitive or energy healers? Jane Fecteau: There really isn't a way to compare what I do because the work is my own. 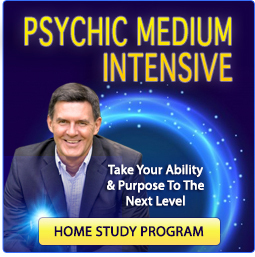 I think what you may be asking is how do my outcomes compare to other kinds of energy healing. Humbly said, I have been fortunate to be able to help many people find resolution to multiple types of problems. All of medicine, whether allopathic, osteopathic or alternative, is very operator-dependent by its nature. For example, osteopaths, reiki masters, chiropractors, acupuncturists, etc. all do a form of energy medicine. They have the same label for what they do but may have widely varying success within their own profession (e.g., acupuncturists compared to other acupuncturists, chiropractors compared to their chiropractor peers). What we do have in common is that we want use our skills to help people who are in distress. People have different perspectives about how that should be done. Because all of my healing comes through God, I look at my work as a way to honor Him, and to relay His message of love, forgiveness and compassion. it’s simple! Bob Olson: Tell us about your classes. What are they like, how often do you do them and how do people benefit from attending them? Jane Fecteau: My classes are small, and have a relaxed, informal and intimate atmosphere. Instruction is interspersed with questions and answers. Much of our class time is spent in hands-on, practical application of The Jane Fecteau Method of Energy Medicine. As class participants take turns treating each other, both the giver and the recipient learn simultaneously as I facilitate. We practice scanning to detect energy imbalances. We practice very specific exercises, as well as work on a variety of real medical conditions and treatments with some of the treatment techniques requiring pinpoint precision. Although there is a lot of individual coaching, students are given a chance to do most of the treatment work. That guidance permits both the giver and the recipient to own the experience of feeling, seeing or sensing when an energy shift occurs, and accelerates their learning. The success of my classes is that after a few hours, students are able to tune in to energy disruptions and change vibrational fields with confidence. To help students maintain and improve their skills, I periodically host “Energy Healing Shares,” which is an intermittent study group for both emerging and established practitioners. Typically we set aside a two-hour block on a weekend day to treat each other in a safe environment as I facilitate and guide the sessions. I offer this to my students for free to reinforce their skills, help them progress more confidently and fine-tune their technique. Bob Olson: Do you do phone sessions, in person sessions or both? Jane Fecteau: I see clients in person but also do many phone sessions for clients that are unable to come to my office, either because of distance or their scheduling needs. The distance is immaterial. Bob Olson: How does one contact you to set up an appointment for a session, please include your website? 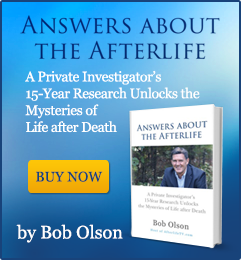 Bob Olson: Is there anything you would like people to know about you or your ability that we have not yet discussed? Jane Fecteau: I'm often asked how I maintain balance in my own life. I've organized myself around a central axis that consists of meditation, prayer and Bible study. I start the day with a block of time set aside for meditation and end my evening with time set aside for meditation and prayer. I study anatomy. I eat nutritious foods, and don't feel deprived because I'm not eating a lot of processed stuff. I exercise at least five times a week, celebrating my physical vitality with fitness training in the practice of Qigong and Tai Chi. I am close to all the members of my large family and have strong friendships of long standing. Everyone has to find their own way to propagate health and longevity - this particular arrangement is what makes me thrive. I try to meet people where they are rather than make them conform to some list or pattern. I recognize that these are choices we all have to make for ourselves. I am here to care for you wherever you are in your healing journey.